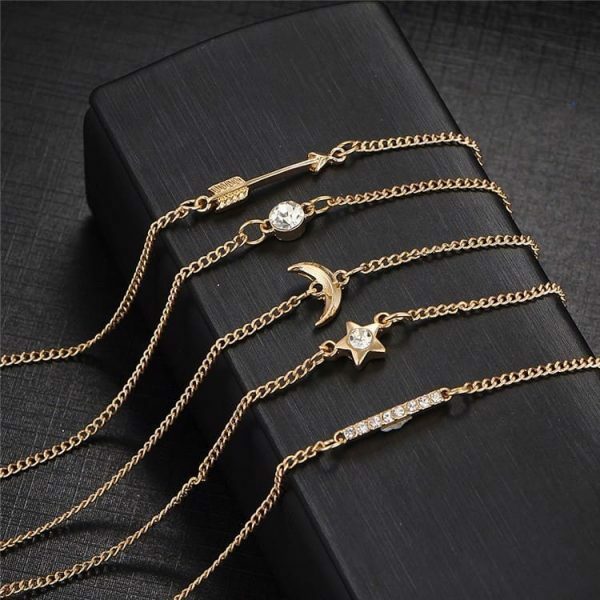 This chain bracelet consists of four layers! There are three black tassels. Combine it with other nice silver jewelry. For example with hoops earrings or with a nice minimalist necklace. Do you have questions about the silver chain bracelet with black tassels? Send us a message. We are obsessed with jewelry! This statement bracelet is full of glittering crystal stones. 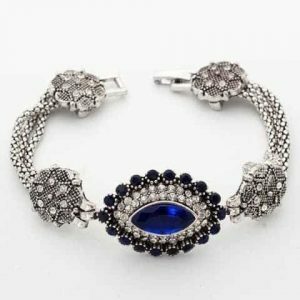 In the middle of this statement bracelet is a beautiful blue stone. Combine it with other nice silver jewelry. For example with a long necklace or with nice studs earrings. 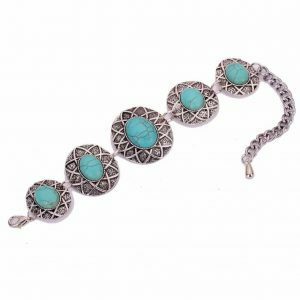 Do you have questions about the statement bracelet with crystal stones? Send us a message.